After attending Picket’s 21st, I had no second thought about returning for his next day. The cars that show up, the atmosphere, the laid back feel – the day’s great. 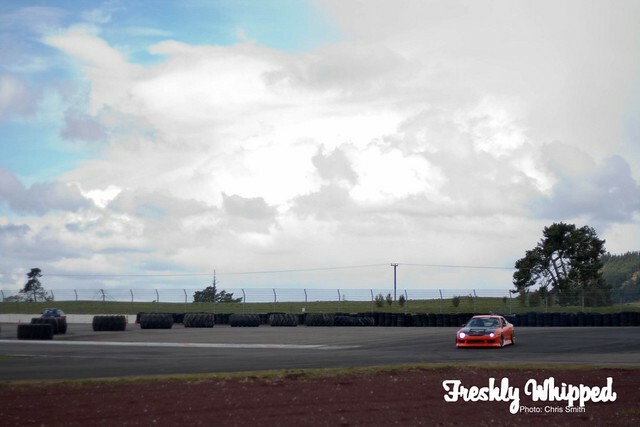 I gradually woke up after a whiskey fuelled night and headed down to the track, slightly under the weather. Luckily the smell of burning petrol and rubber is a lovely wake up in the morning. As soon as I stepped through the gates, I was happy. Walking around and seeing the line up of cars, one would expect we flew to Japan. 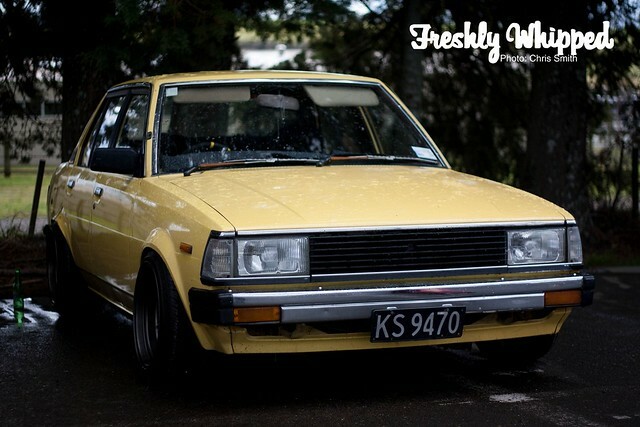 The central North Island seems to have a much different car culture to Auckland. 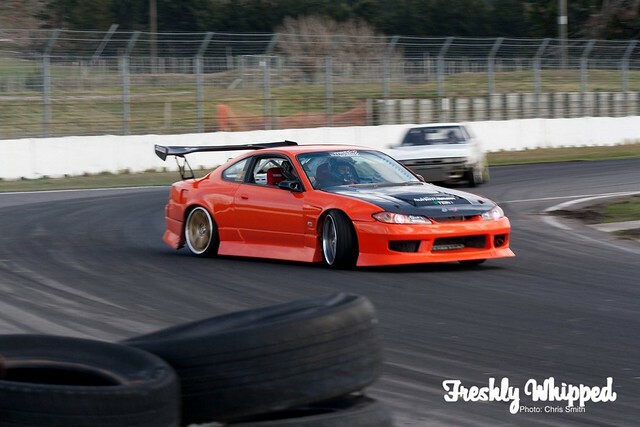 You see a lot of ‘hellaflush’ and stance cars roaming – Something we love to see. Heading out on the track, the cars were already started. 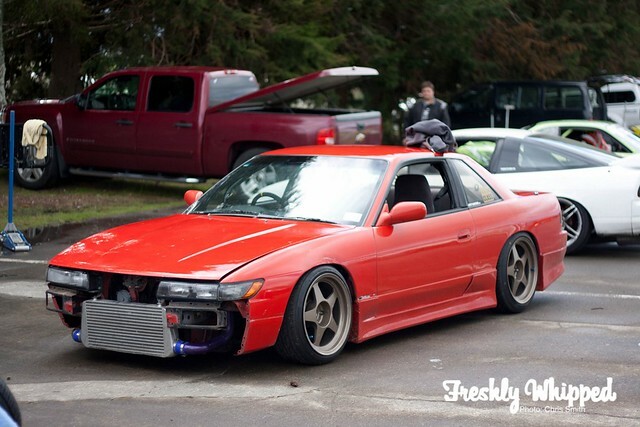 As you can see, angle’s not a problem for this S14. I remembered after the first day that a girl called Mel was out driving this JZX100. I love how she gets out there and shows up all the boys. Seriously, girl’s got talent. With many bumpers being shredded and a sad casualty, the cars had to stop. Not that that matters though. Within a minute the group was back out. Matt Sellers can be seen here creating a smoke screen for the crowd. Matt never fails to put on a great show. Love it. Max’s S13 was also freshly painted. The new kit and wheels make the car look awesome. Sadly, back at the pits we saw Max’s car out for the count after a blown turbo. Ouch. Is it just me or does this look ever so slightly like a til shift photo..? 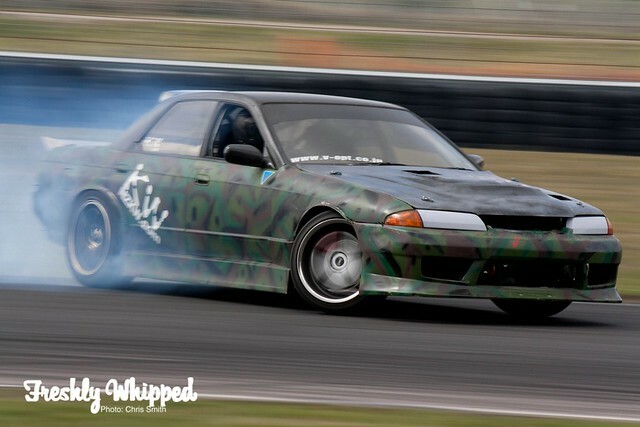 Jacob’s camo R32 was looking good out on the track! 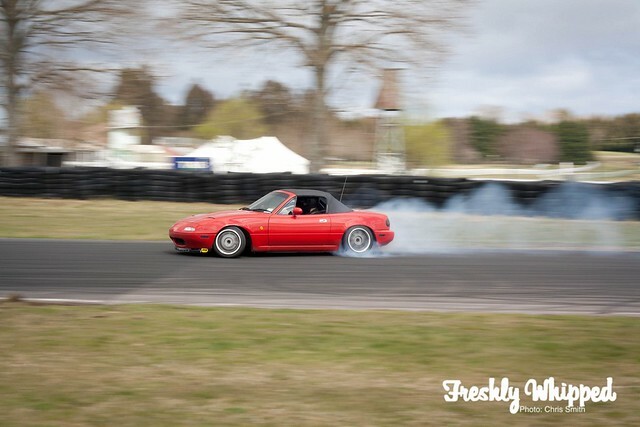 Even with a bag of Macca’s on top, Luke’s MX5 was looking staunch! 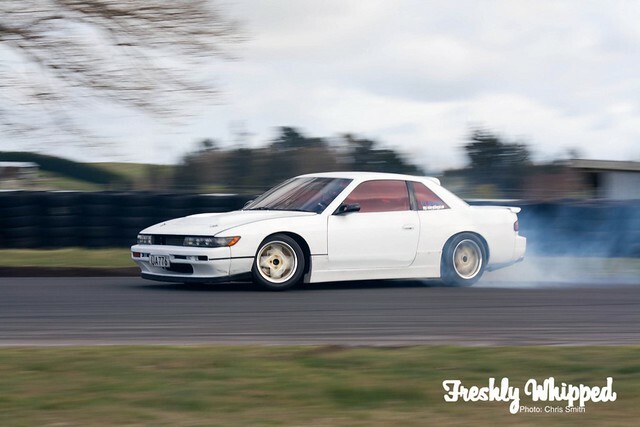 Xris’s S13 is a personal favourite of mine. The simple white, Star wheels and the awesome red tints. Fresh. 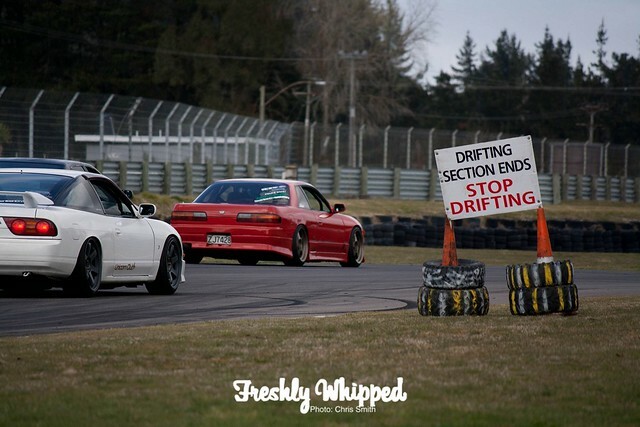 Classic sedans drifting? Oh hell yes! Here’s the man himself getting some lock around the first corner! With the car only recently back in shape, it’s great to see him giving it some hell. 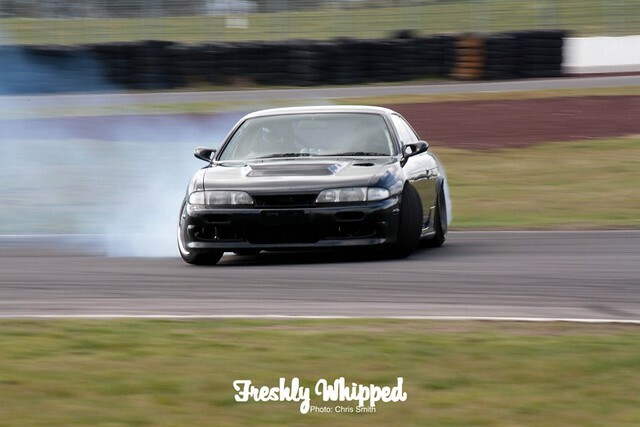 Andrew Redward’s S14 looks amazing with smoke pouring off it. Never underestimate the little guy. 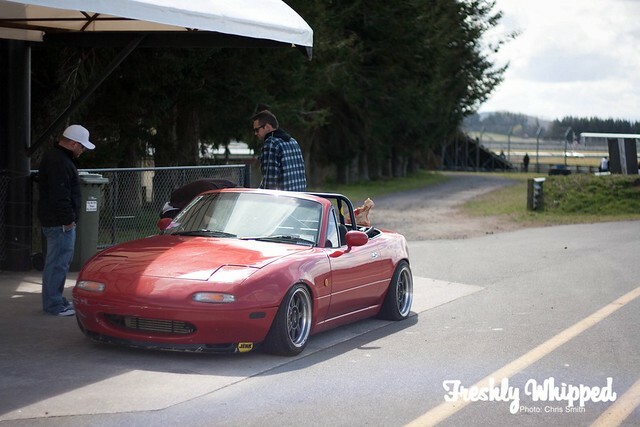 Especially when he makes your Silvia look like a Barbie doll. 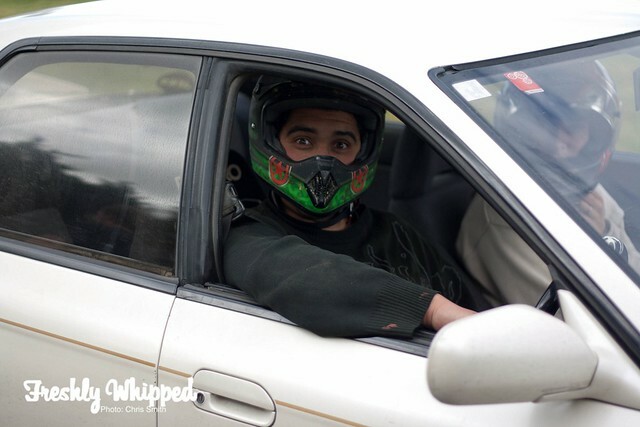 The face of Burger Fuel Taupo, too much Wong’s Kitchen oh and RB20E drifting yo! Still not sure how Royce gets so much lock out of it.. But I want it. I came to Taupo expecting a bit of dodgy weather. Luckily the day was mostly dry! Grouse! Now that, is a set of Watanabes. Max knows how to build his cars..
And lastly, another shot of Picket. I think he was having fun at this point. Cheers for the laps Mitch, and cheers to ZeroClass for running the day. That made my birthday weekend epic.